Q Is a transformer built in to the light? Is the transformer included? If not is there a specific transformer that is recommended? 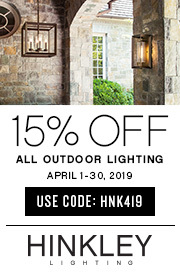 The Hinkley Lighting Outdoor Line Volt 1 Light Landscape - Step 58025BZ does not include, nor does it need a transformer because it is a line voltage fixture. 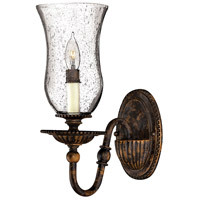 Q Can this fixture fit in a normal brick depth (4" with mortar)? What is it's depth? 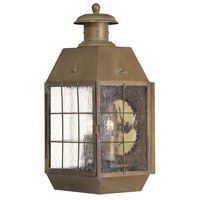 A The Hinkley Lighting Outdoor Line Volt 1 Light Landscape - Step 58025BZ has a faceplate depth of 3.125" and a housing depth of 2.5". Q Will the fixture fit into a single gang box? 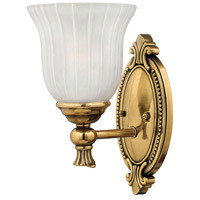 A This fixture includes it's own housing and is not designed to be mounted into a gang box. 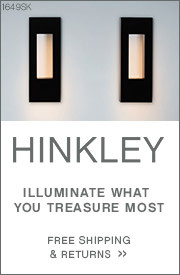 You may refer to the installation instructions for Hinkley Lighting 58025 for further assistance. Q Can this be used to light deck steps? 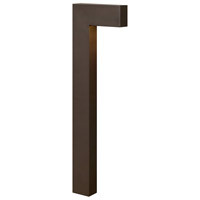 A The Hinkley Lighting Outdoor Line Volt 1 Light Landscape Step 58025BZ is an outdoor rated line voltage step light that can be used to light deck steps. Q Can I use an LED bulb with this light? 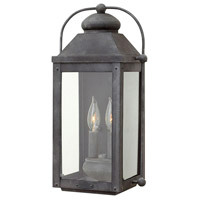 A The Hinkley Lighting Outdoor Line Volt 1 Light Landscape Step 58025BZ can use a G-9 LED equivalent bulb on this product. 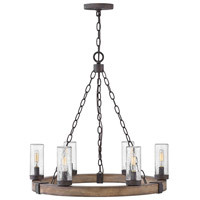 Q What is the rough opening for this fixture to mount in block? 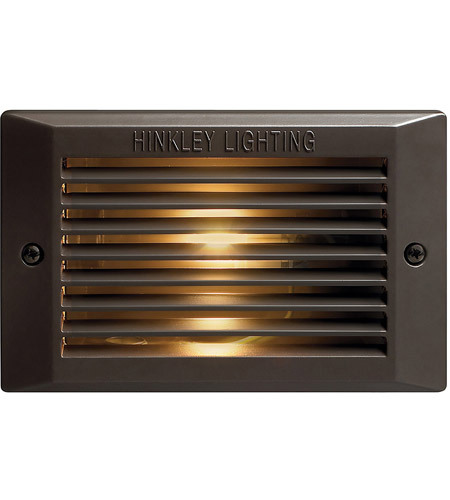 A The Hinkley Lighting Signature 1 Light Line Volt Step 58025BZ housing cutout dimensions are: height 4", width 5-3/8", depth 2-1/2".